The “Old Fashioned” is my favorite cocktail. Sugar, bitters, and bourbon equals happiness in my book. 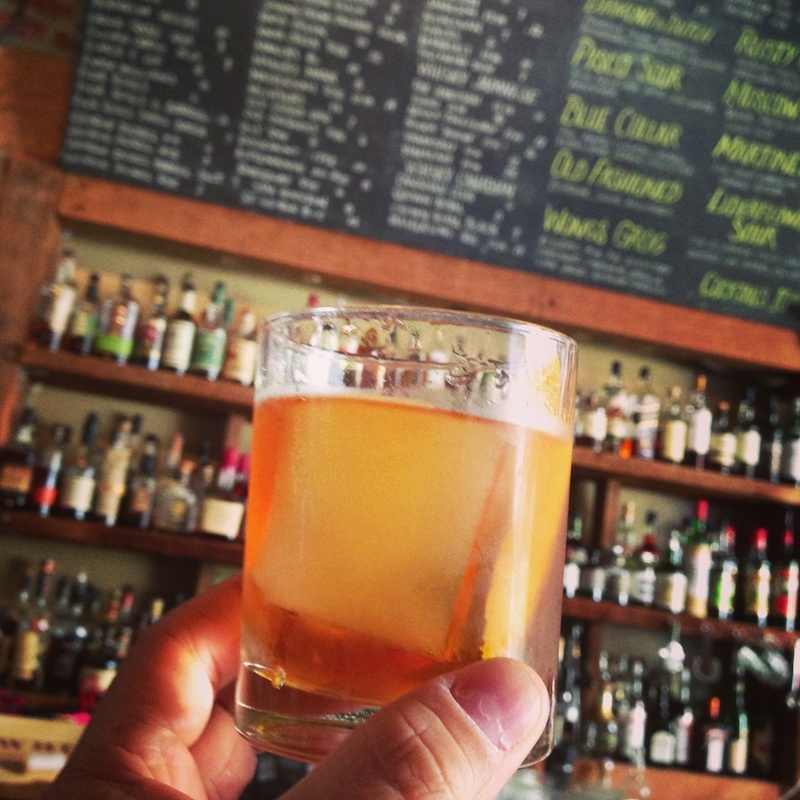 My favorite Old Fashioned in Hawaii is made by my friend Justin Park at the Manifest. Justin is a partner owner of the Manifest and one of Hawaii’s most celebrated mixologists. He has competed and won at many national competitions and after trying his cocktails it’s no secret why he has so much acclaim. The Manifest itself is an amazing space and concept. Once you step inside you forget where you are. I always love spaces like that, where you can escape from your everyday reality, even if just for a moment. Tom’s Tip: Try the Shoedaddy downtown crawl. Start at the Manifest for a few Old Fashioned, grab a “Sweet Bangkok” at Bar 35, a few beers and a slice at JJ Dolan’s, then finish with pho from The Pig and the Lady (when they open shortly in Downtown).